Most of the really important things in life happen in their own time. For me, that’s always been a difficult lesson because patience isn’t one of my virtues. But you might not meet Mr. Right the first day you decide you’re ready for Mr. Right. Books don’t get published when the author is ready. If you ask football players, they’re probably ready to win a national championship every year they put on a helmet and pads. But we all know it doesn’t often happen that way. I started Coach Maddie and the Marine nine years ago. It was a rough idea that floated around in my head for months before I did anything with it and then, once I did get published, other books sold first. 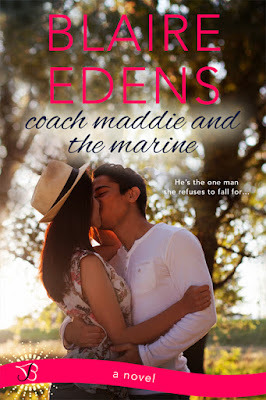 Coach Maddie and the Marine was shelved time and time again to make room for other projects and other life changes but I never forgot the characters or the theme and I found myself going back to the book, working and reworking until it felt right. I stuck with it, hoping one day I could share it with readers. The same is true of my favorite college football team, the Clemson Tigers. 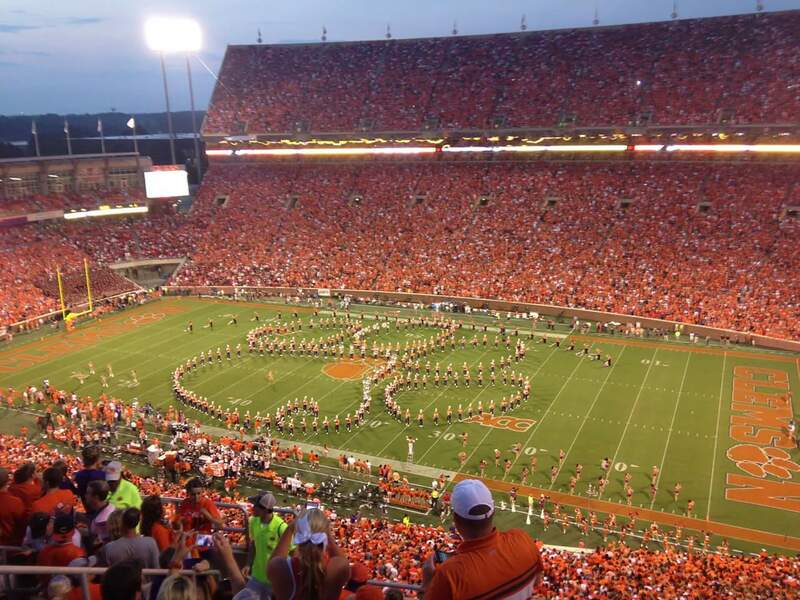 When I was a student at Clemson in the nineties, our team was horrible and I mean horrible. But as an alum and a serious football fanatic, I stuck with the team, scrimped and saved to keep my season tickets, convinced that eventually I’d see the Tigers in a National Championship game. In both my writing and my team, I hung in there, stayed positive and knew that eventually the results would eventually reflect my hopes, dreams and hard work. Coach Maddie and the Marine release on the same day my Clemson Tigers compete for the College Football National Championship. The same day! Not only could I have never predicted that, I couldn’t have planned it even if I’d tried. January 11, 2016. A date in which the stars seemed to align in my life. So my message is this: Stand fast when it comes to your hopes and dreams. You never know when the missing piece will click into place and all the hard work and dedication will pay off in your life. Allow things to grow, develop. Know that the right thing will happen at the right time. Rarely can we predict how it’s all going to come together, but it will. I hope you enjoy Coach Maddie and the Marine. It’s the story of two people who never meant to fall in love with each other but circumstances totally out of their control force them together. Circumstances totally out of their control. Sound familiar? Happy Reading and Go Tigers (win or lose)! Blaire Edens lives in the mountains of North Carolina. She grew up on a farm that’s been in her family since 1790. Of Scottish descent, her most famous ancestor, John Comyn, Lord of Badenoch and Guardian of Scotland, was murdered by Robert the Bruce on the altar of the Greyfriars Church at Dumfries. Blaire is the award-winning author of Wild About Rachel, An Officer and a Mermaid and The Witch of Roan Mountain. “You want to let them all play quarterback?” He grimaced. “Jimmy. What should I have done?” she asked arching an eyebrow. “Did you watch those games?” He tilted his head to the side and waited for her answer. “Um, some of them?” She’d watched. Sort of. She knew when one team ran into the other team’s end zone, it was a touchdown. She exhaled. He was right. It wasn’t going to be enough. She didn’t like failure. At all. It made her angry, frustrated. She’d never failed at anything she’d put her mind to and she wasn’t going to start now. “I have to coach this team,” she said.